Read more about Baba Hardev Singh here. Who is he? What is Sant Nirankari Mission? How he died? 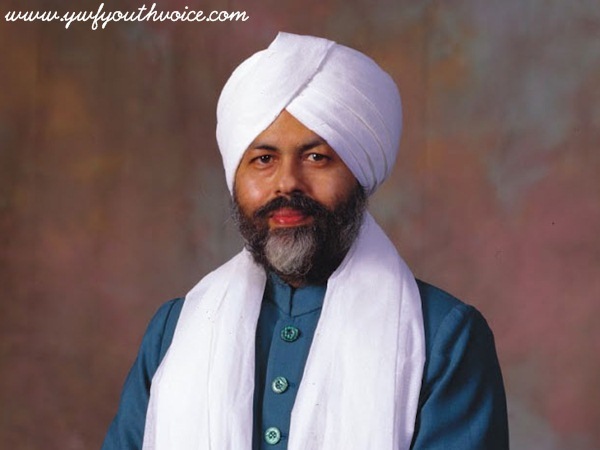 Baba Hardev Singh, leader of the Nirankari sect or Sant Nirankari Mission, passed away on Friday. Baba Hardev Singh died in a car accident in Canada's Montreal. What is Sant Nirankari Mission? The Sant Nirankari Mission Hindi: संत निरंकारी मिशन, SNM) and also known as Universal Brotherhood Mission, is a spiritual organisation based in India. The Sant Nirankari Mission identifies itself as "neither a new religion nor a sect of an existing religion, but an all-embracing spiritual movement dedicated to human welfare". Despite the similarity of name, the group is not (or is no longer) affiliated with the Nirankari movement started by Baba Dyal Singh. The Sant Nirankari movement has been targeted for violence by some extremists among the orthodox Sikhs, who consider the group to be a heresy of Sikhism. The SNM has over 100 branches outside India, most prominently in Britain and North America. Its world headquarters is located in Sant Nirankari Colony, New Delhi. Its leader, Baba Hardev Singh Ji Maharaj, provides spiritual guidance for Nirankari devotees; as well as for whole mankind follows any religion, caste and culture. The group is characterised by its focus on a living leader. Baba Hardev Singh was born on February 23, 1954 in Delhi. He did his early schooling at Rosary Public School, Sant Nirankari Colony, Delhi. Post schooling, he studied at the Delhi University. Baba Hardev Singh joined the Nirankari Sewa Dal as its primary member in 1971. He had married Savinder Kaur in 1975 during the annual Nirankari Sant Samagam in Delhi. He succeeded as the leader or "Satguru" of the Nirankari sect following the assassination of his father, who was the head at that time, in 1980. Sant Nirankari Mission was established in 1929 by Baba Buta Singh. The Mission shifted its base to Delhi from West Punjab, after the Partition in 1947. Singh died on 13 May 2016 in a road accident in Montreal, Canada. Prime Minister Narendra Modi, Saint Dr. Gurmeet Ram Rahim Singh and others expressed their grief over sudden demise of Hardev Singh. Deeply saddened to hear about the tragic demise of Nirankari Spiritual Leader Shri Hardev Singh Ji. Condolences to his family and followers. Sad to hear about Baba Hardev Singh, may his soul rest in peace. Extremely saddened by the sudden demise of Baba Hardev Singh ji. My heartfelt condolences and prayers for the departed soul. Shocked by sad demise of Baba Hardev Singh Ji Head of Nirankari Sect. We can never forget his immense contribution to serve humanity!